We have already encountered the revolution of mobile devices across the world. With the usage of technology and the access to high-speed internet connections, mobile devices have really created a worldwide popularity that is continuously at a click’s reach to every piece of info. Furthermore, businesses have seen the advantages of having a mobile device that is capable of coordinating easily between the field and office jobs. 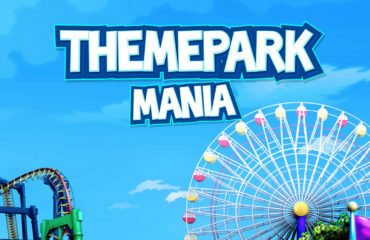 Nevertheless, all businesses are not same and therefore have their own specific requirements of computing apps. For instance, a business handling warehousing would need a completely different kind of application in comparison with a business the services of which include repairing household electronics. For making the best utilization of everybody’s time, an expert business should see this fact and take into account getting custom mobile applications development. Android app development has emerged very fast since its launch because of its popularity and as such, you must not find it a job for finding a good Android app development agency that can develop apps that meet your precise requirements. 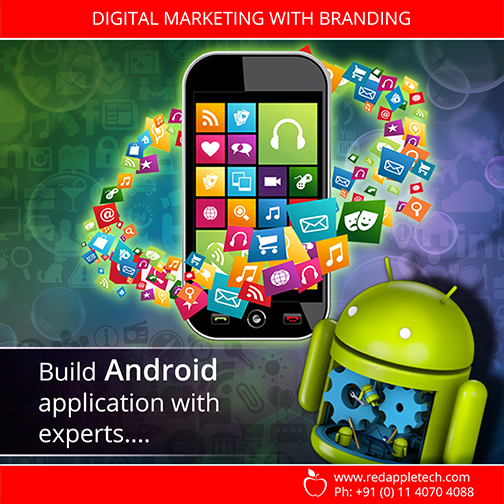 This blog discusses a few things that must be of use to anybody seeking to hire an Android development agency. Mobile app field had no existence a couple of decades of ago. But that doesn’t imply that all developers are newcomers only. Search for an Android app development agency headed by people who are highly experienced in working with app development and are having enough skills and knowledge needed for addressing any type of coding or development need. This is really an advantageous way for deciding whether the said organization is capable of handling your project or not. A developer with no application to showcase is not a good option for your business. So, you must check out some of the sample works in order to ensure to note your personal experience of utilizing it. Not just the content is very much important, the design or form is also similarly keeping importance. Companies that have been developing apps for mobile devices and know what they are actually doing never hesitate to showcase their previous works as a sample and hence make it easier for themselves and clients. A good communication at the time of app development procedure is necessitous to the success of every application. You have to get in touch with the entire development team for your needs of functionality and the design as well. For instance, if you want to develop an Android app, it’s better that your person of communication is the project manager for the team of the Android app development. Ensure to speak to the similar personality from the time of concern and on across the entire procedure as this makes it simpler in coordinating. If you want to build a brand new Android app for your business, then don’t just waste your time and contact Red Apple Technologies, a leading Android development agency. 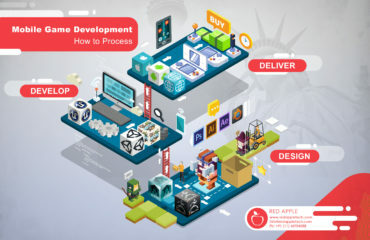 How to Process a Successful Mobile Game Development? Think About It! 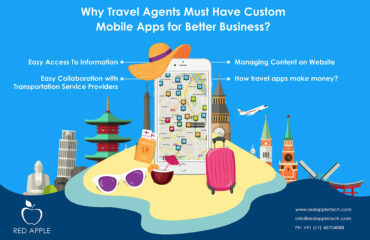 Why Travel Agents Must Have Custom Mobile Apps for Better Business?